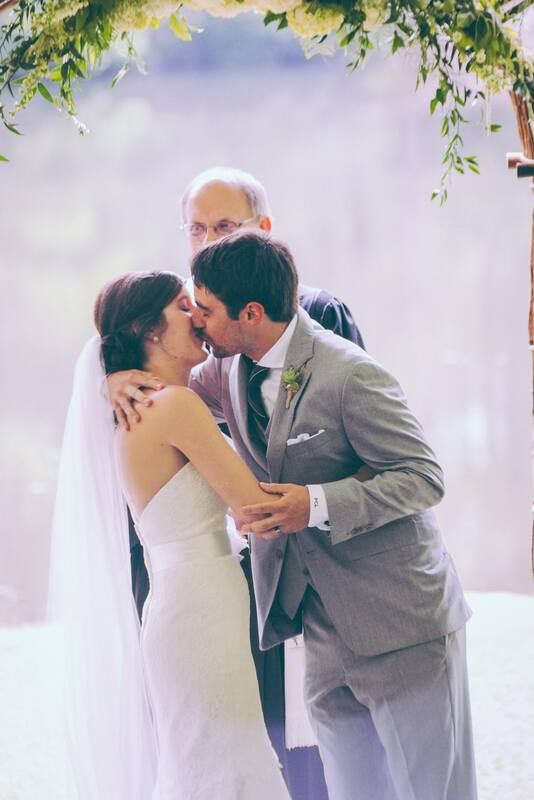 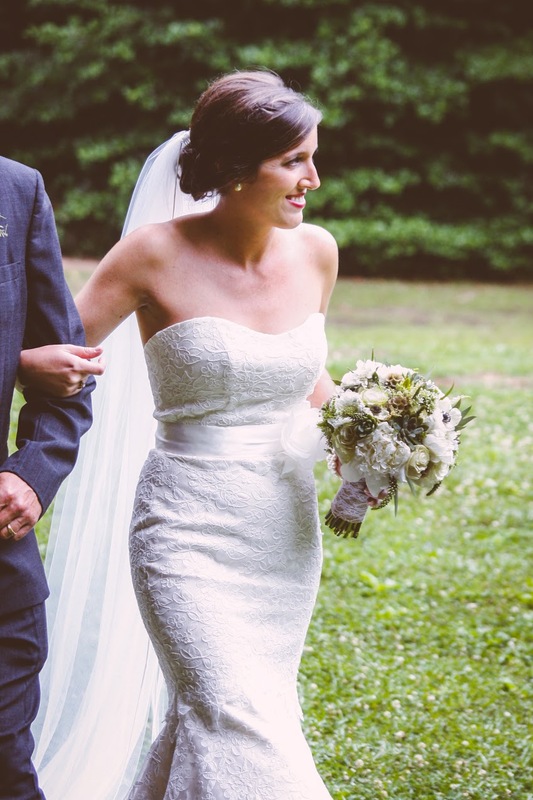 Lauren & Phil were married at Camp Buckhorn at Paris Mountain State Park in Greenville, South Carolina. 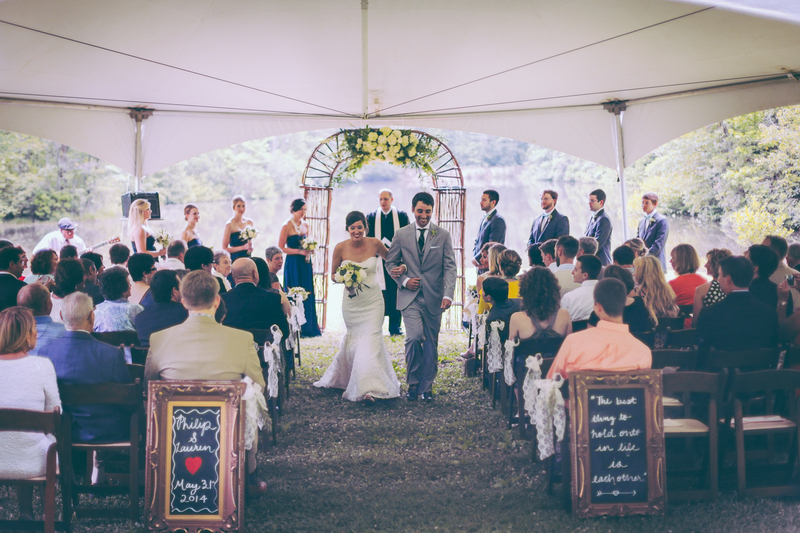 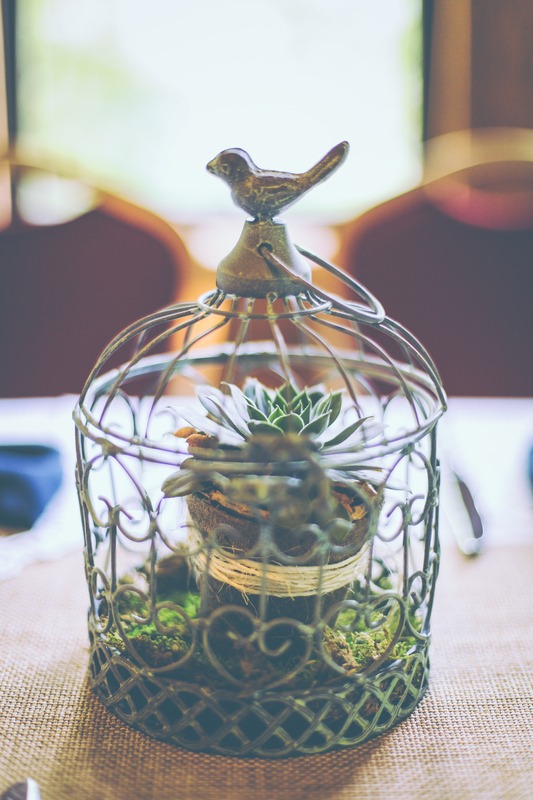 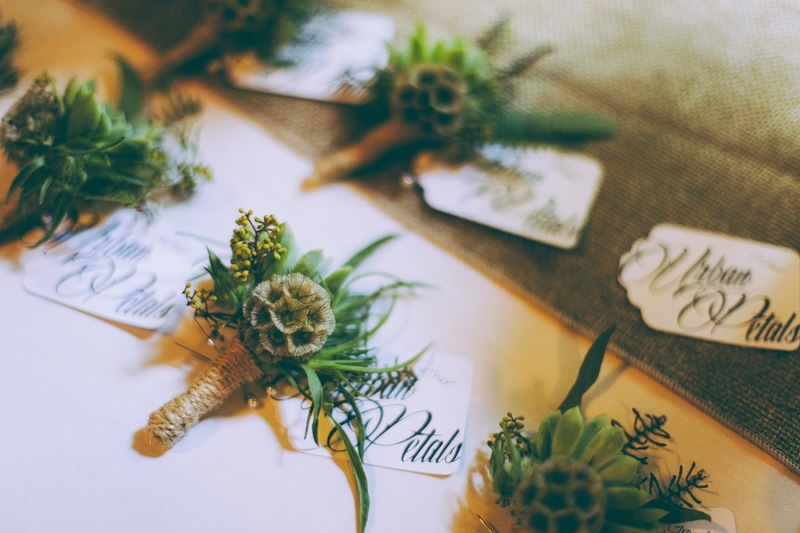 This was the perfect venue for their rustic wedding. 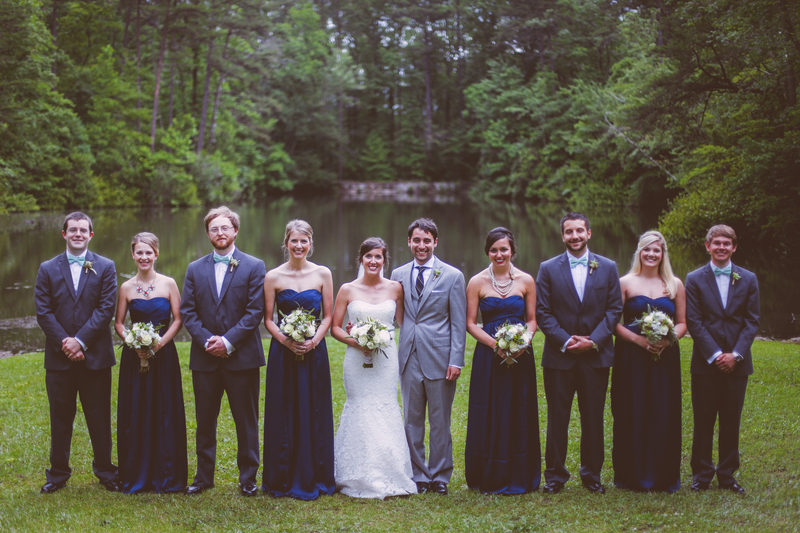 I loved working with Lauren and her family! 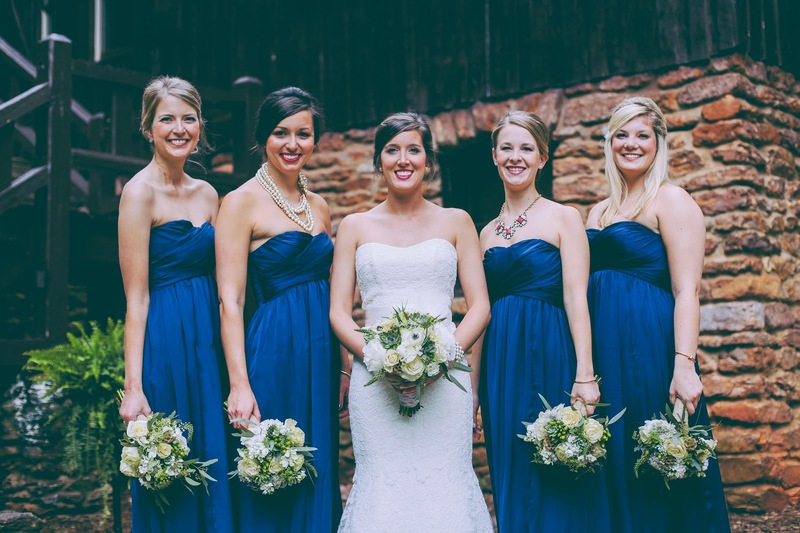 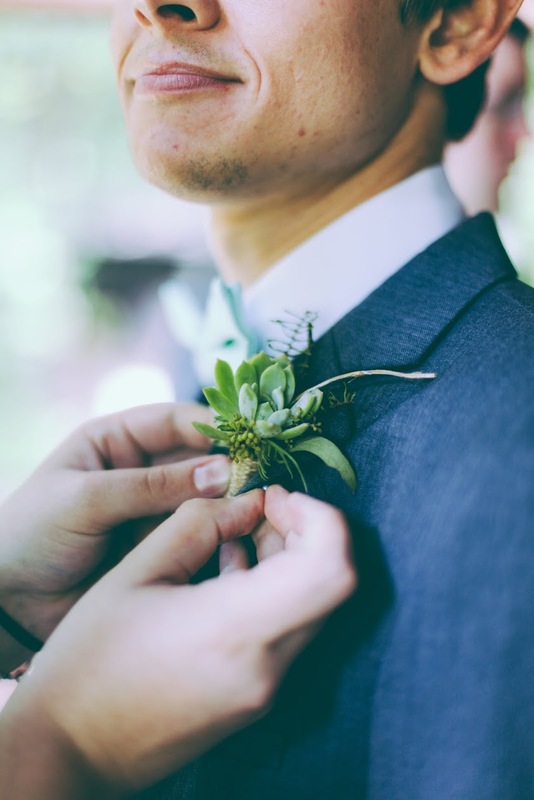 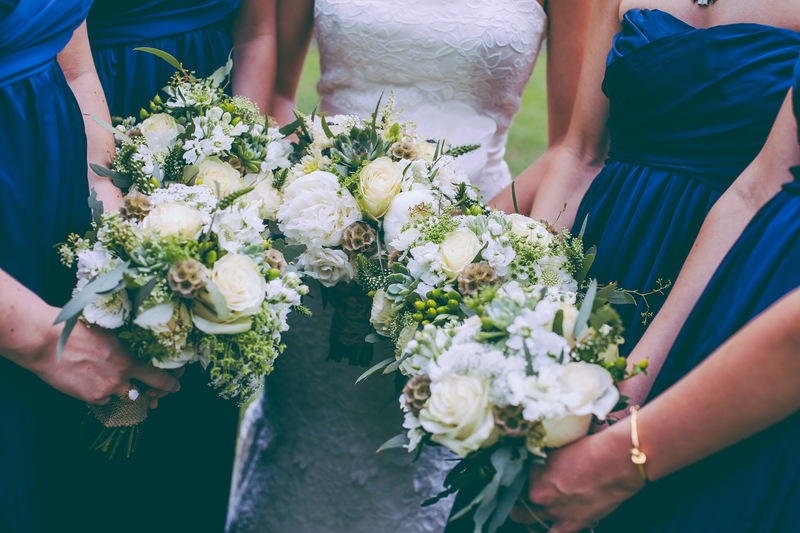 She incorporated rustic elements throughout the wedding with custom-made wood boxes for the reception, rosemary & lace aisle markers, twig & burlap accents, and yet she kept a sophisticated feel to the day with dark blue dresses bridesmaids dresses, gray suits for the gentlemen, and elegant flowers. 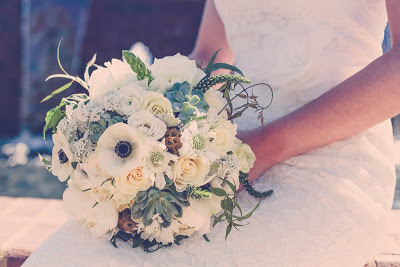 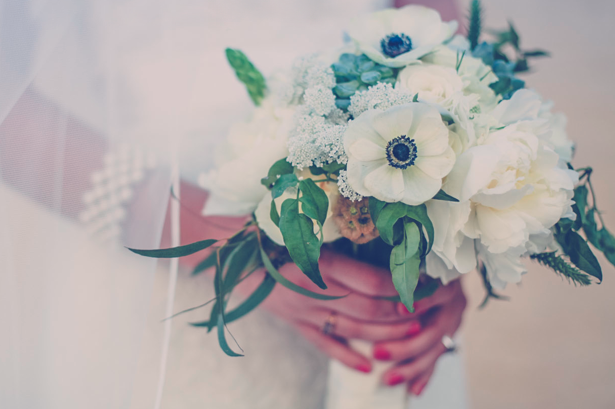 We selected a fairly neutral palette of white & green for the flowers using anemones, peonies, succulents, hydrangea, scabiosa flowers, pods, and roses. 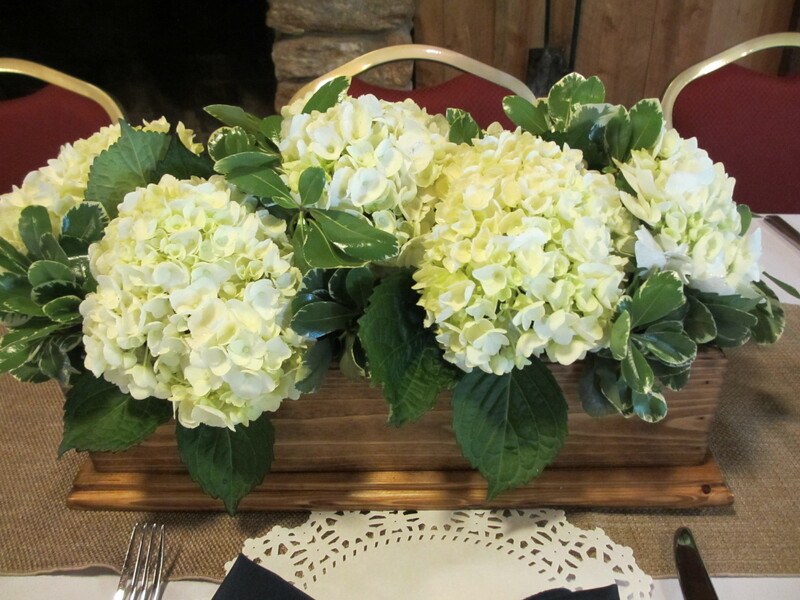 In addition to the personal flowers and reception centerpieces, we also designed the arbor flowers for the ceremony. 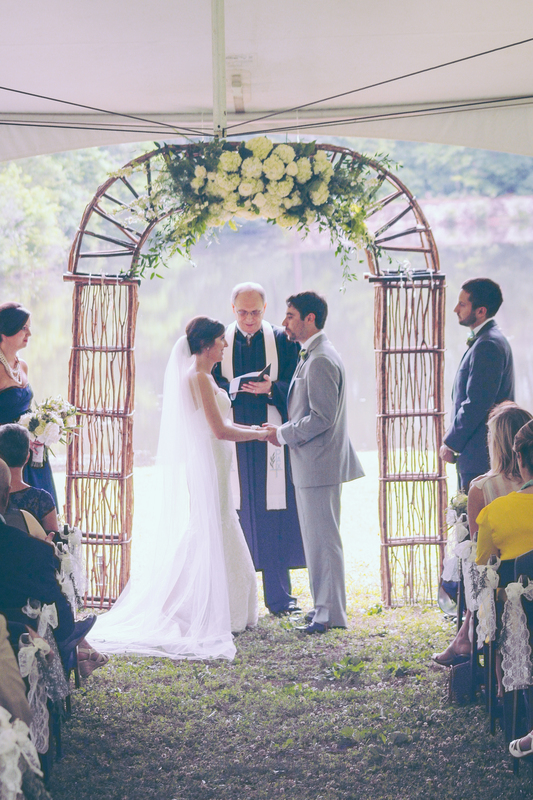 The flowers added the perfect touch to the outdoor ceremony. 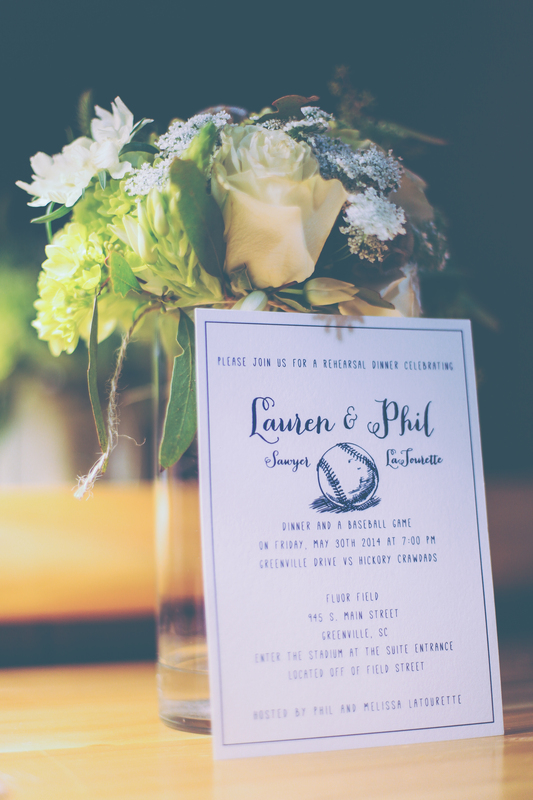 Thank you Lauren & Phil for allowing Urban Petals to be a part of your special day!